There's another big Pride event happening in Uptown today. 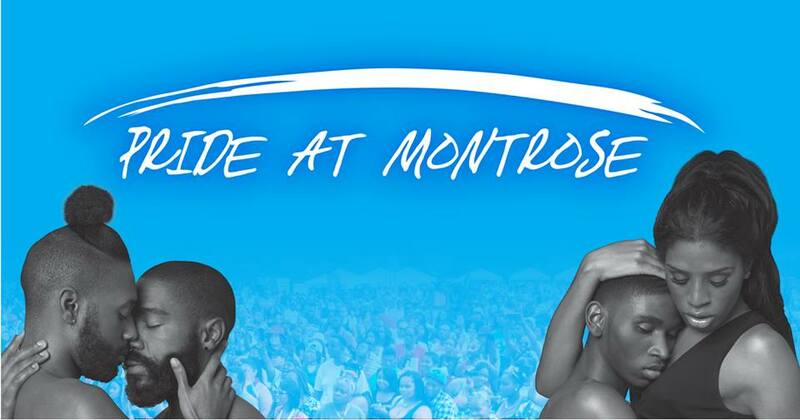 The old Montrose Rocks festival, which celebrates LGBT people of color, has been rebranded as "Pride At Montrose" and takes place at the lakefront and at Cricket Hill. Check out their Facebook page for the events and participating entertainment. Last year, the beach got filled to capacity early in the day and police started to block vehicles from entering. It's a possibility this will happen again this year. Don't be surprised if it does. 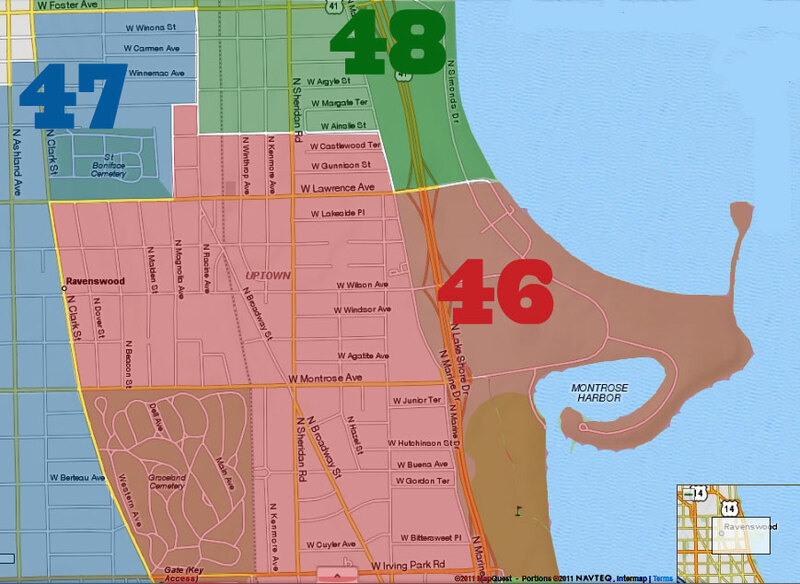 Unlike the Parade, which uses Uptown as a starting point, Pride At Montrose starts and ends here, and there will be a lot of people leaving around the same time. Many, many people will be making their way up from the beach to the Red Line throughout the afternoon and especially at and after 6pm. If you don't like crowds, keep away from Wilson, and to a lesser extent, Montrose and Lawrence between mid-afternoon and evening. Have a safe and happy Pride, no matter how you celebrate. 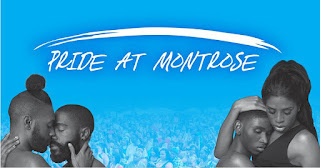 Update: Pride on Montrose, whose closing time had already been changed from 7pm to 6pm, was closed by the police at 3pm, cutting what had been -- by all accounts -- a calm and successful festival. No clarifications have been given on why it was closed early. Read about it here and here. Update: DNAinfo ran an article Monday evening, Cappleman Miffed After Pride At Montrose Shut Down By Police. UU, why did CPD shut this down early? I just got in the for the night and wasn't aware that it had been shut down early. I'd suggest checking their FB page for details, or writing them. Sorry, don't want to speculate when I've got no info. Thanks. Windy City Times has a good write up. Yeah, I just read it. I'll be interested in the "official" version. It's almost always a peaceful event, so I'm curious to know what happened. Sorry they didn't get special treatment, but permit events agree and commit to meeting safety standards and requirements. The fencing was supposed to be 6' high, and what organizers provided was only 3' so like any other event equal treatment was applied and they shut it down in the name of public safety, regardless of anyone's perception of how calm it may have been, because that's irrelevant. Meet the standards or suffer the consequences. It's not like Cricket Hill has never had any issues. I applaud the police on their proactive safety enforcement on public property. When are the "authorities" going to shut down the tent cities on public land in the name of "public safety"? Chicago's system of appeasement and selective enforcement is tired. I personally witnessed a couple walking on the street Saturday night because the tent city patrons were taking up the entire sidewalk. No one can pass under those viaducts and they treat them like their own private bastion. Talk about some real ridiculousness. 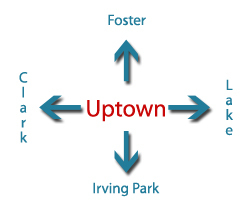 Cappleman and the City need to get rid of that rabble now.